Over the last few days I have written about a tour of the historic town of Goolwa south of Adelaide. We went with my friend Rod and his wife in their wonderful old 1928 Model A Ford. 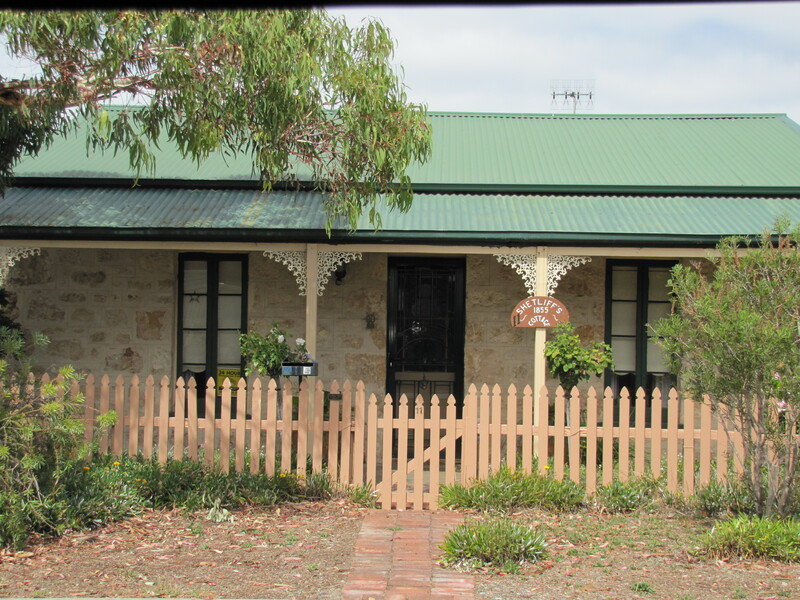 During our time in Goolwa we stopped several times to go for a walk, looking around at some of the old historic towns still being used today. 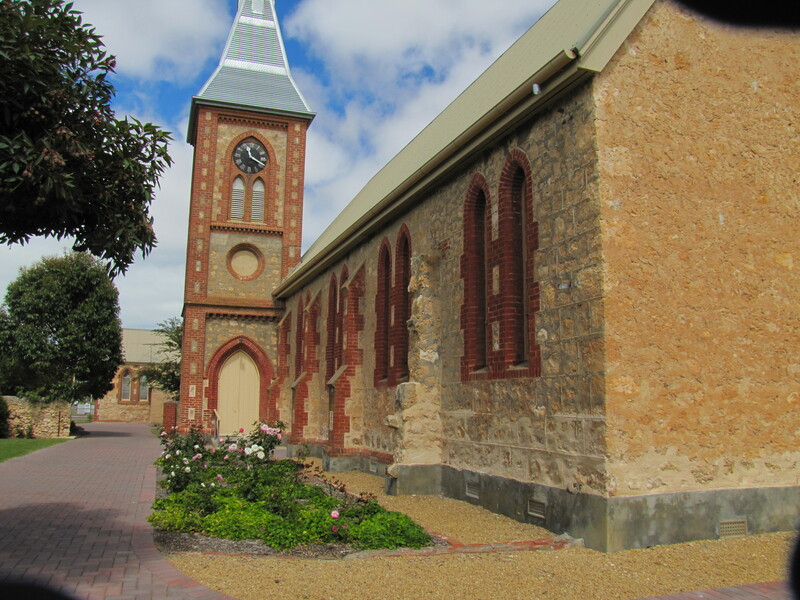 Goolwa was a very important town in the development of South Australia. It was even considered at one point for building of the capital of the state. 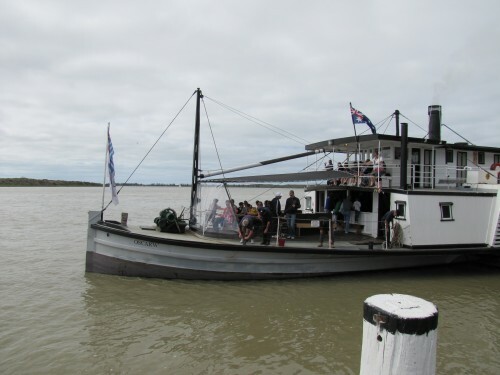 The Port of Goolwa served the enormous river boat trade of the Murray-Darling River system, Australia’s major river. Its mouth is a few kilometres from the town. Farming produce and goods for the towns along the rivers were transported in the early days of colonial Australia. The advancing railway network soon brought this trade to an end. Now the river boats are returning as tourist interest in the river system increases. Now many house boats ply these waters. 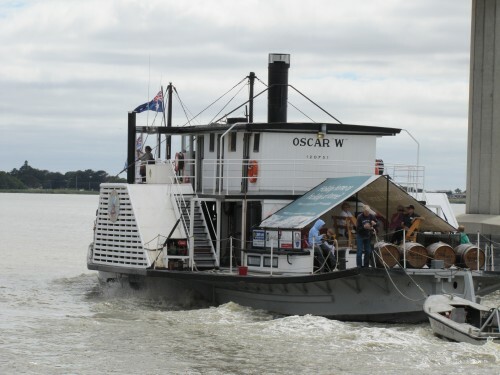 Yesterday I wrote about the old paddle steamer, the Oscar W which operates as a tourist cruise boat out of Port Goolwa, near the mouth of the River Murray in South Australia. 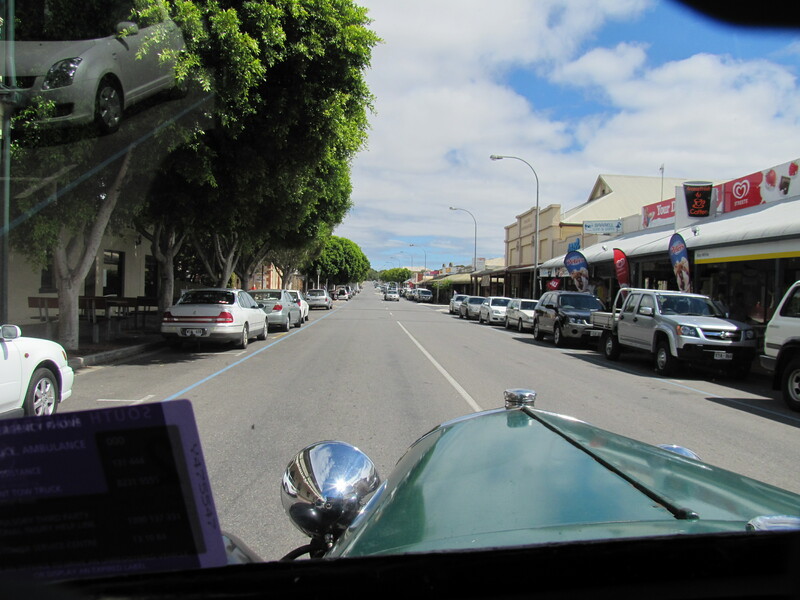 On that same day my friend Rod and his wife took us cruising Goolwa and nearby areas in his wonderful 1928 Model A Ford. The photo above was taken in the main street from the front passenger seat as we chugged along. The photo below shows the whole car in the driveway of Rod’s sister. 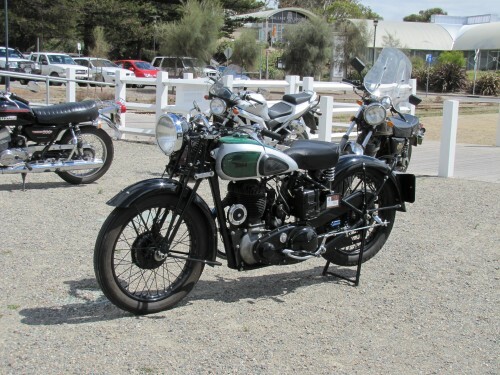 At one point on our tour we stopped to admire the two lovely old motor bikes parked near the wharf in Goolwa. 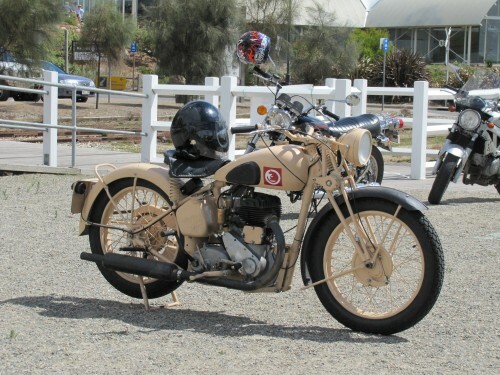 I am not into bikes of any kind, but I am sure many would love to have a ride on one of these beauties – or even own one or both of them. 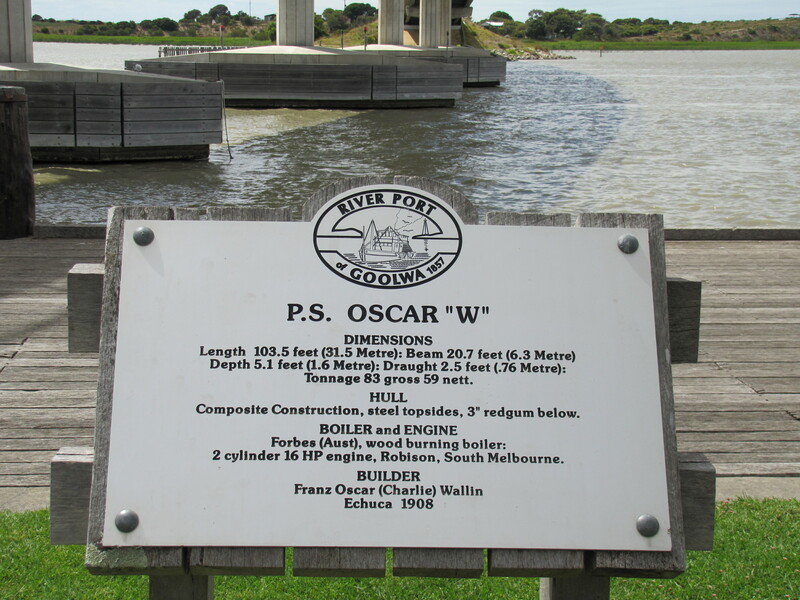 Some time ago now I took a series of photos on a visit to Goolwa near the mouth of the River Murray in South Australia. we were visiting friends who live in the nearby seaside town of Victor Harbor, about an hour south of Adelaide and just over an hour’s drive from our home in Murray Bridge. Rod took us on a tour of the local sights in his 1928 Model A Ford with the simple name of “Don”. Several times I have been driving with him in his old car and I always enjoy the experience. On this occasion we drove to Goolwa, a town on the banks of Australia’s largest river. The port of Goolwa was a bustling river port in the 1800s, transporting goods to and from farming areas upstream in the Murray-Darling river system. 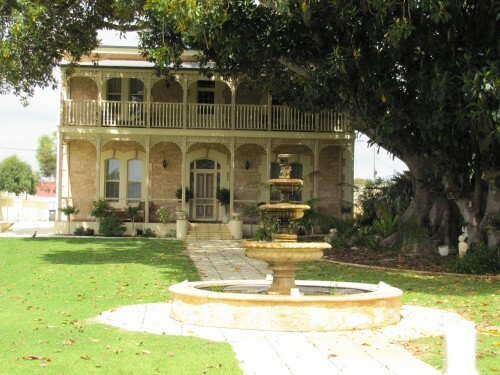 The goods were then taken by train – Australia’s first railway – to the port at Victor Harbor. In its heyday this was amongst the busiest ports in the country. The quick spread of the railway system soon saw the demise of this important port. These days, Goolwa is both a busy retirement town and tourist destination. 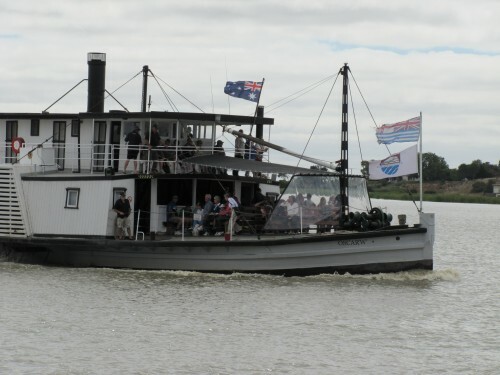 Every two years the town hosts the South Australian Wooden Boats Festival, attracting many people from all over to see these wonderful old craft. 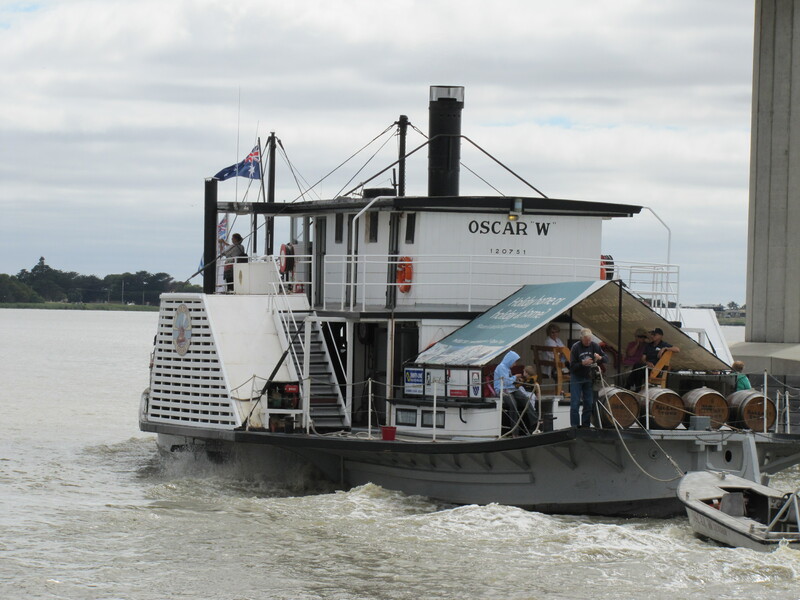 Visitors can also take cruises on the River Murray on a variety of vessels, including the Oscar W shown in today’s photos. I have been promising my wife a trip on one of these boats for some year now. I had better keep my promise soon – an opportunity for more photos. Pangarinda Arboretum is on the eastern side of the River Murray at Wellington, South Australia, just a short distance east of the ferry crossing. 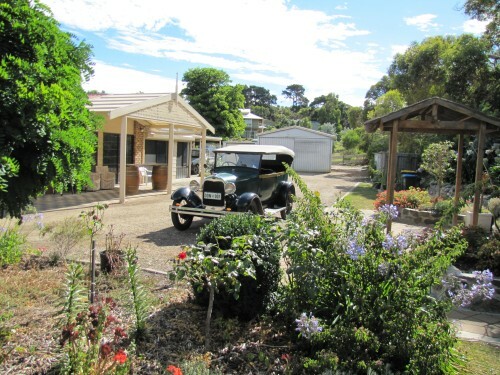 This large garden has been planted up and maintained by local native plant enthusiasts on land provided by the local council. The huge collection of many thousands of plants from all over Australia always has something in flower, so every time we visit the camera is kept busy. The whole property is fenced to keep out rabbits, so if you ever visit, make sure the gate is securely closed. Entry is free at any time. Mannum is a small river town less than a half hour drive from my home. 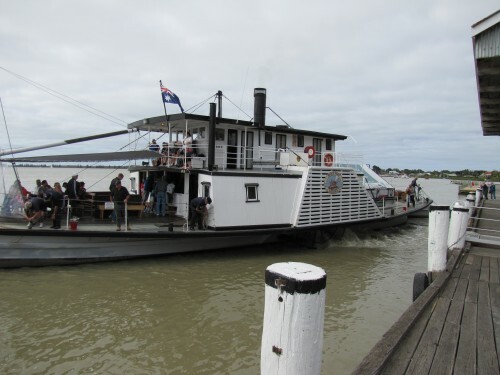 It is on the banks of the Murray River and has a long history dating back to the paddle steamer era in the late 1800s when Mannum was an important river trade port. The local museum bears testimony to this important element of South Australia’s history. We enjoy our visits and love relaxing in Mary Ann Reserve where these photos were taken. You are currently browsing the archives for the Murray River category.